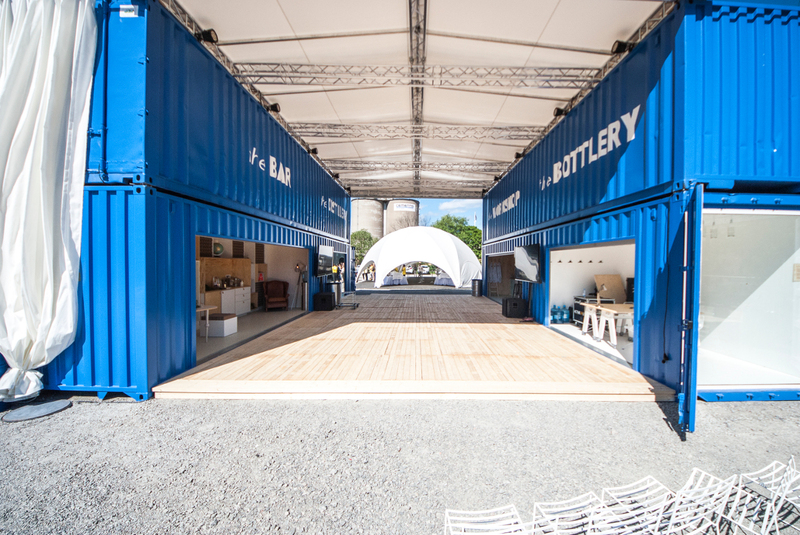 Swedish Vodka maker Absolut has tapped into the “Maker” movement with a new mobile innovation lab built from shipping containers and other recycled materials. 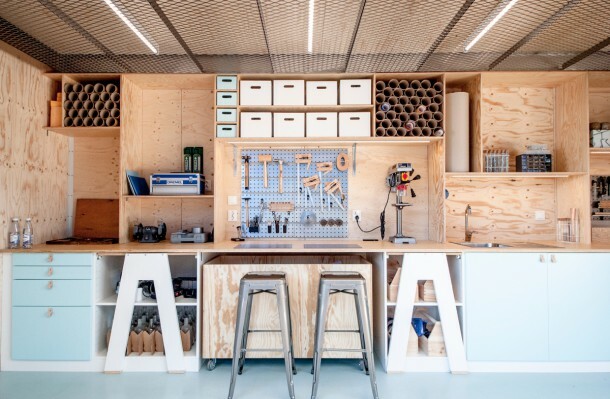 The Absolut Creative Space was designed by architects Astrid Skog and Charlotte Stuveback for Abslout earlier this year as a venue for creatives and innovators to produce unique with tools they might not have access to, in a collaborative environment. 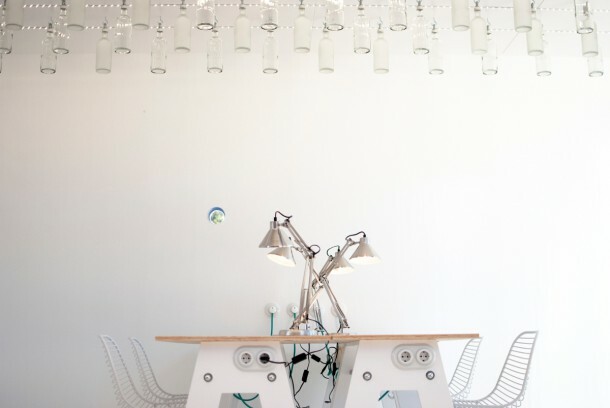 Inspiration was taken from Absolut’s production process and applied to each of the four individual spaces. The goal was to inspire and enable different types of work with limitless variations on the creative process. 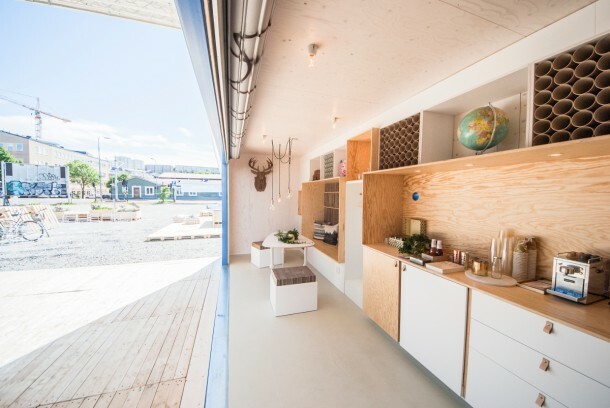 Creative Space was first placed outside Färgfabriken in Stockholm Sweden. The containers occupy enough space to hold all four containers and create a common area in between. That space is a “Semi-Official Zone” according to the architects that designed the Creative Space, which is designed to welcome visitors and encourage them to come closer and get involved. 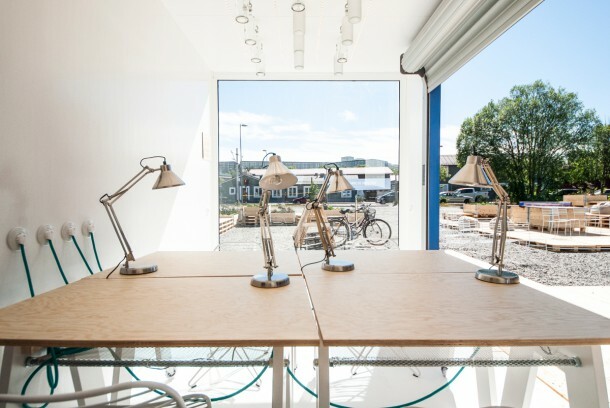 In addition the area was softened with landscaping creating an even more relaxed and inviting space for the creatives using the space as well as guests. I really hope Absolut brings this to the USA for a tour. I think it would be a blast to participate. The first link above takes you to the Absolut site with case studies of projects already completed. An area of pallets with plants with meeting places surrounds the four containers. Posted in Innovation and tagged ABSOLUT, Absolut Creative Space, Absolut Vodka, Creative Space, Design, Design Thinking, Innovation, Stockholm, Sweden on August 10, 2015 by Author.